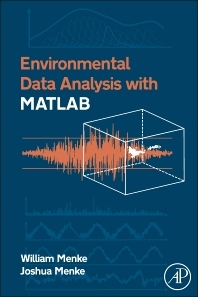 Environmental Data Analysis with MatLab is a reference work designed to teach students and researchers the basics of data analysis in the environmental sciences using MatLab, and more specifically how to analyze data sets in carefully chosen, realistic scenarios. Although written in a self-contained way, the text is supplemented with data sets and MatLab scripts that can be used as a data analysis tutorial, available at the author's website: http://www.ldeo.columbia.edu/users/menke/edawm/index.htm. This book is organized into 12 chapters. After introducing the reader to the basics of data analysis with MatLab, the discussion turns to the power of linear models; quantifying preconceptions; detecting periodicities; patterns suggested by data; detecting correlations among the data; filling in missing data; and determining whether your results are significant. Homework problems help users follow up upon case studies. This text will appeal to environmental scientists, specialists, researchers, analysts, and undergraduate and graduate students in Environmental Engineering, Environmental Biology and Earth Science courses, who are working to analyze data and communicate results. 2.1. Look at your data! 11. Are my results significant? 11.1. The difference is due to random variation! William Menke is a Professor of Earth and Environmental Sciences at Columbia University, USA. His research focuses on the development of data analysis algorithms for time series analysis and imaging in the earth and environmental sciences and the application of these methods to volcanoes, earthquakes and other natural hazards. Joshua Menke is a software engineer and principal of JOM Associates. His specialty is in the design and implementation of parallel processing systems for matching and correlation of large volumes of data in order to identify and quantify trends and patterns that can assist manufacturers and retailer better serve their clientele.